It’s true that the majority of people decide to have laser eye treatment because they want the freedom of being able to see clearly without the inconvenience of having to wear glasses or contact lenses, but for many, medical reasons mean it is their only option. Manchester City striker Mario Balotelli hit the headlines recently for undergoing laser eye surgery as the only viable alternative to correcting his vision after he developed an allergy to contact lenses. Obviously a footballer – or anyone who plays an active sport for a living – can’t possibly wear glasses, but contact lenses are not always the answer either. 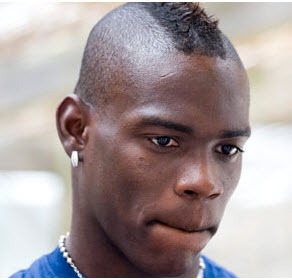 Balotelli had worn contact lenses for years but had developed an allergy that eventually resulted in an abscess and conjunctivitis. Laser treatment was the only option open to him if he was to continue his footballing career. Apart from the medical necessity, swapping contact lenses for permanent surgical vision correction is something that will improve the performance of every sportsman or woman. No doubt after this year’s Olympics many decisions to have laser eye treatment will finally be taken! Another recent news story about the potential drawbacks of wearing contact lenses presents an even more compelling case for laser treatment. Jennie Hurst, a contact lens wearer from Southampton, caught the devastating eye infection acanthamoeba keratitis after swimming whilst wearing her contact lenses and is now blind in one eye. This highly aggressive amoeba is found in both fresh and sea water so whilst rare, the potential risk is always there. Left untreated this can cause irreversible, painful sight loss with a matter of days. Worryingly, the incidence of this infection is on the rise. Doctors are putting this down to more patients buying their contact lenses online and not adhering to strict eye care regimes or attending regular eye checks with their eye care professional. Laser treatment not only frees patients from the confines of glasses and contact lenses completely, it also eliminates the risk of contracting serious contact lens related infections. Following surgery there is a period of time where the eye heals, during which the eye is susceptible to infection. However, due to the rigorous aftercare regimes and antibiotic drops prescribed following surgery, the risk of contracting an infection is very low. In fact, research has found that the chance of obtaining an infection following surgery is lower than contracting an infection through contact lens wear. And then, once the eye has healed, refractive surgery patients can enjoy swimming with without the worry of infections as well as enjoying clear vision.